Paying your bills electronically is the easy, convenient, and secure way to make one-time and recurring monthly payments. Once you sign up, simply set up your personal payment list and enter your payment date(s). You can also edit your payment schedule at any time. Click here to take a test drive today! Signing up is easy too. 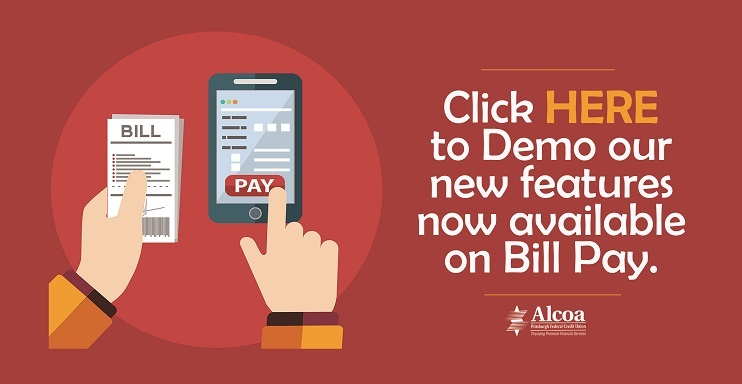 If you already have online banking, simply login to sign up for bill payer. If you don’t have online banking, apply at the credit union or send us an updated account card and we can set you up! Don’t miss this opportunity to streamline your finances and save on envelopes and postage too!